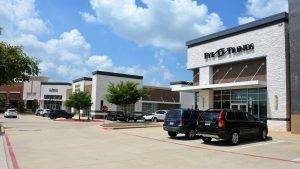 Eye Trends Southlake is located at the corner of Southlake Blvd and Carroll Rd in the Park Village Shopping Center next to REI and Beauty Brands. We have convenient office hours and our office is open late Monday-Friday (9:00am-7:00pm) and on Saturday (9:00am-3:00pm) in order to best accommodate our patient’s busy schedules. 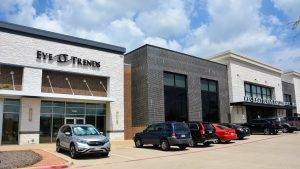 Eye Trends Southlake opened its doors in December of 2017. 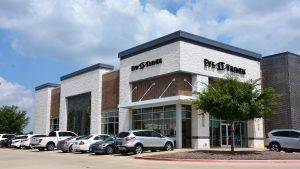 We are PROUD of our beautiful new facility in the heart of Southlake. 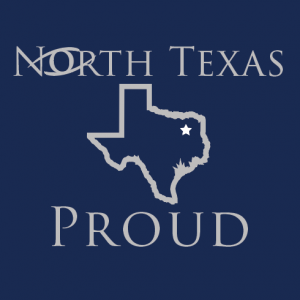 We are growing with our beloved city and are very PROUD to call Southlake and North Texas our home! 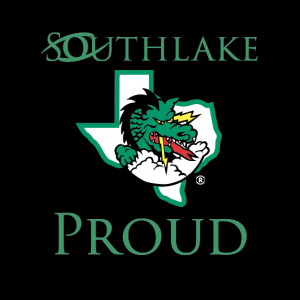 Eye Trends Southlake is PROUD to be an annual supporter of Carroll ISD and an active participant in the Southlake and surrounding North Texas Communities! Eye Trends Southlake believes in giving back to the North Texas community and annually participates in events such as Back to School Round Up and Special Olympics Texas. We are also PROUD Members of the Southlake, Grapevine, and Colleyville Chamber of Commerce Organizations! Our Southlake optical collection features a full display of contemporary designer frames, including sunglasses and children’s eyeglasses, to complement any style and support any vision prescription. If you’d rather wear contacts, we stock an extensive inventory of premium contact lens brands, including specialty lenses for hard-to-fit vision conditions. Is your vision prescription current? To confirm that you’re wearing the right lens powers for your needs and the right type of contacts for healthy eyes, our eye doctors perform thorough vision testing and contact lens fittings. 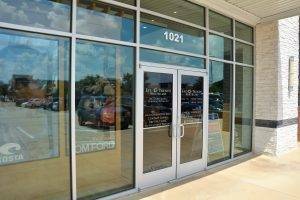 Our commitment to quality extends to every eye care service we provide in Southlake, TX. This suburb of the Dallas-Fort Worth Metropolitan area, was settled originally in the mid-19th century by pioneers. However, it took until 1956 for the town to be incorporated. For about twenty years, our neighborhood was fully rural. But the completion of DFW International Airport changed all of that in the 1970s. Now Southlake is an attractive and vibrant suburb, located at the tip of the scenic Lake Grapevine, in North Texas. One of the best places to experience the history of Southlake is at Nash Farm. Thomas Jefferson purchased this farmland in 1859, and now the farm’s historic buildings are open to the public to take self-guided tours, with no charge. Check the calendar of events to see when one of our community’s lively family festivals will take place here. There are many ways to take advantage of the great outdoors in Southlake. Explore the parks that surround Lake Grapevine, with a winding network of trails and convenient campgrounds. Katie’s Wood Park is the perfect place to cool off at a shady picnic table before you launch off the boat ramp. If you’d prefer to hold reins instead of an ore, head to Marshall Creek Ranch to lead your horse along some of the best equestrian trails in the region. Even little kids can saddle up and ride along with their parents. The Bob Jones Nature Center offers you the chance to roam free in nature, while learning something too. Many environmental and educational activities are hosted here, such as the Monarch Butterfly Festival. On your next free day in Southlake, we encourage you to visit the Grapevine Botanical Gardens to gaze upon the fabulous colors of blooming flower beds and landscaped plant life. Our Southlake area is famed for rolling landscapes and rippling creeks, which create the perfect background for first-rate golf. The most unique golf club around is the Cowboys Golf Club, the one and only NFL-themed club in the world. This course is designed to highlight the natural surroundings, while giving you a great game. After you wind down, take a seat at one of the club’s four restaurants. For the ultimate end to an active day, relax with a glass of locally produced wine at nearby Wine Fusion. This winery also offers wine blending classes. Hands-down, the LegoLand Discovery Center is a favorite attraction amongst kids (and adults don’t wanna grow up!). There are no less than twelve attractions here, with thrilling rides, a charming miniature model of Dallas-Fort Worth, a 4D cinema, and an engaging tour of the factory. To energize before or after your visit, pop in at the coffee shop. The site of the Palace Arts Center is just as interesting as the live entertainment and movies shown here. This 1940s art-deco building was restored to perfection, providing a beautiful venue for an afternoon or evening out in Southlake. 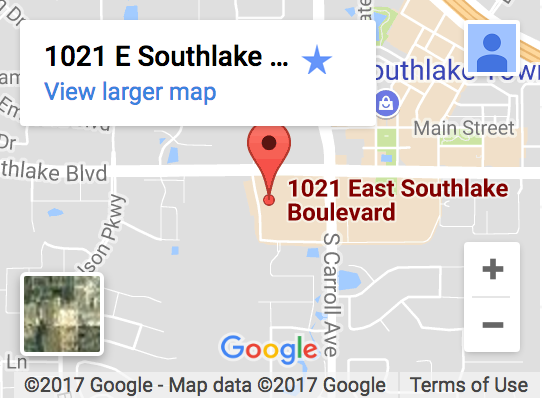 No matter what you’re looking for, Southlake, TX, has it! To see all the attractions clearly, remember to schedule an eye exam at our new Southlake branch of Eye Trends.